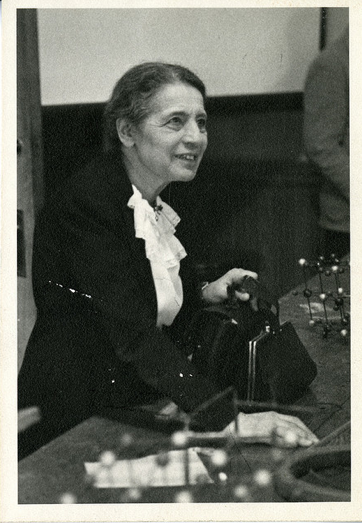 Lise Meinter was one of three scientists who discovered nuclear fission in 1938. Here she is seen lecturing at a university in 1946. (Smithsonian Institution Archives). For more information about Meinter’s life and career, read her biography. 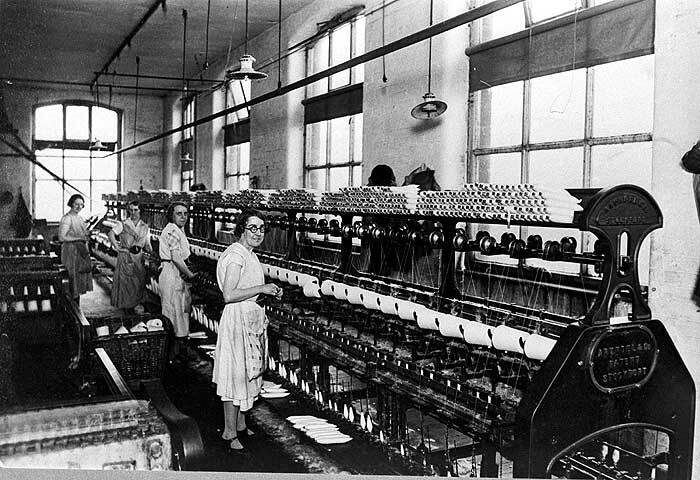 Women winding yarn onto bobbins on a machine in a textile mill in the 1930s. (English Heritage National Monuments Record). For additional information, see the Heritage Explorer website. 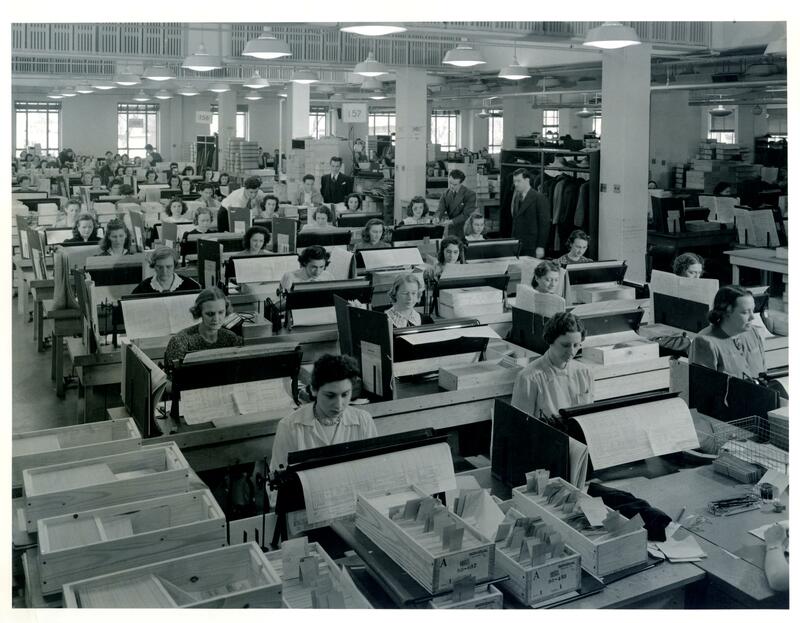 Women transferring data from handwritten census schedules to thousands of punch cards each day that would be tabulated and sorted to produce statistical tables. (US Census Bureau image gallery). These tables were used by the Census Bureau. 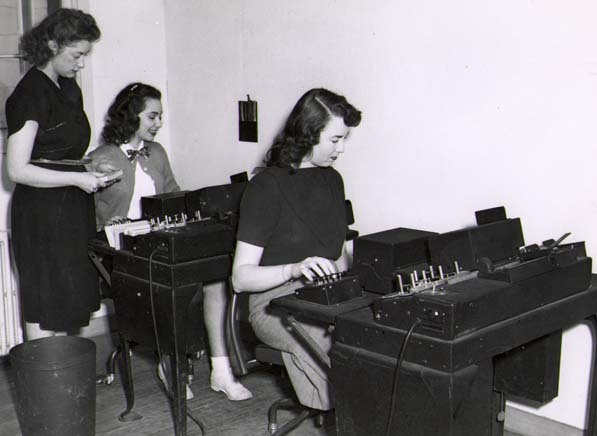 A woman making punch cards in the New Orleans IBM office. IBM created meaningful roles for women as early as the 1930s, whereas many companies did not follow suit until later. (Works Project Administration). Additional information about the history of women in IBM can be found on their website. 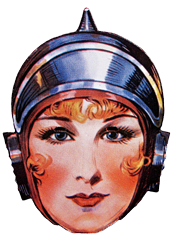 The use of ledger-posting machines and development of mechanized accounting in banking created many job opportunities for women in the 1930s. (HSBC Archives- Online Gallery). Click here to see more photos and artifacts from the 1930s. 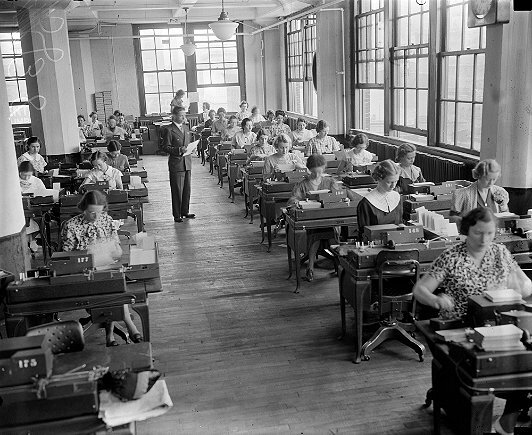 Female students hard at work using IBM Type 31 alphabetic duplicating key punches (School of Commerce, Oregon State University). 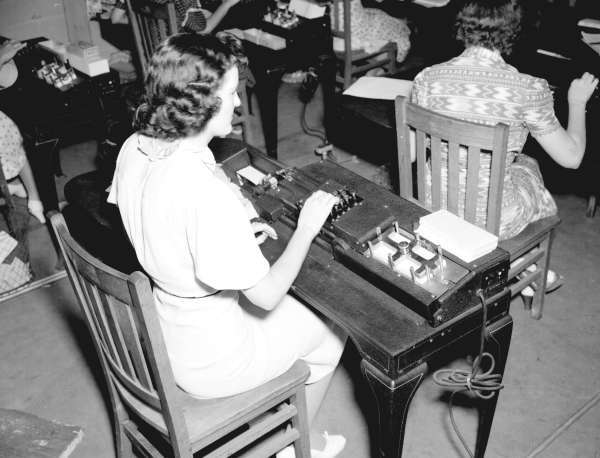 For more information about IBM Tabulating Machines, visit the Early Office Museum website. Women punching social security “master cards” at Baltimore Social Security Office (Computer History Museum). For additional information about the photo, visit the Computer History Museum website. 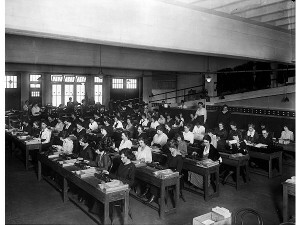 Women workers in a calculation “factory” in the 1930s. (Computer History Museum). For more information about computing in the 1930’s, please visit the Computer History Museum website. Women in 1934 using Hollerith Milk Machines Marketing Board (Office Museum). 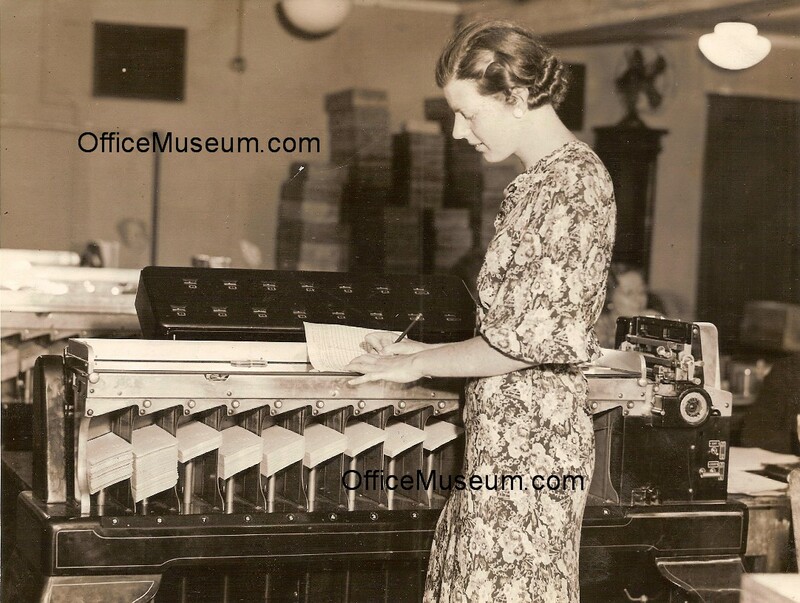 For additional information on data processing machines of the 1930’s, please see the Early Office Museum website. 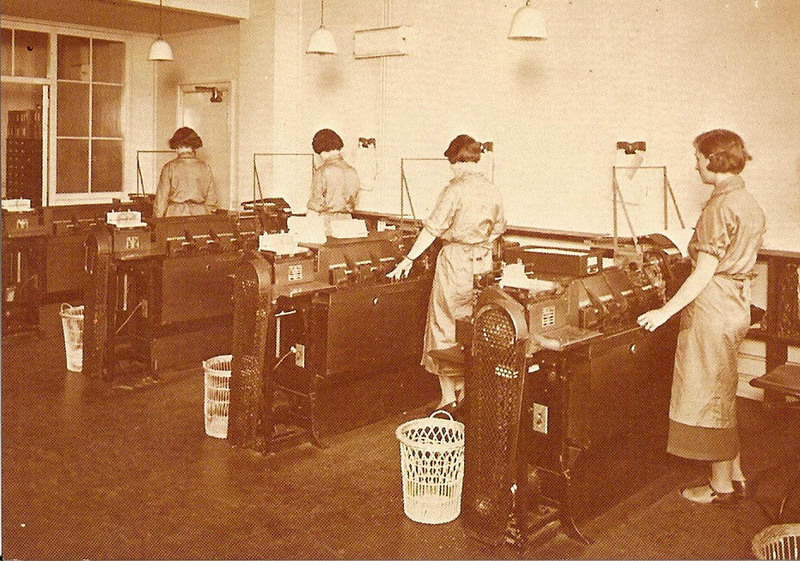 A women in 1934 working a Sorting Machine used to conduct an Unemployment Census (Boston Traveler OM). 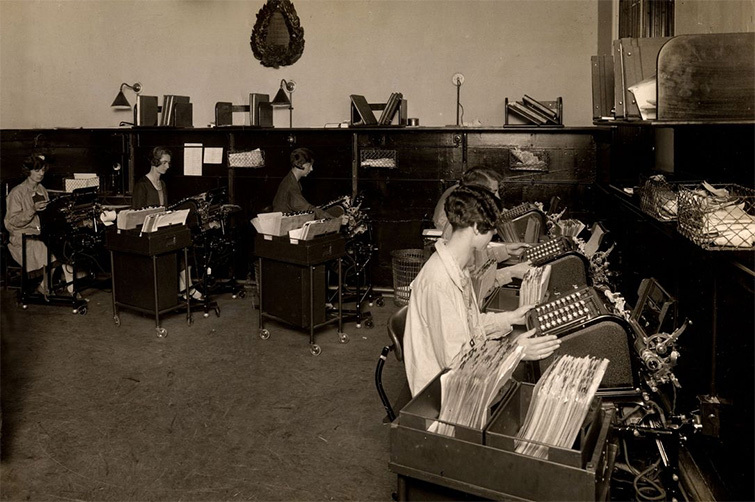 For additional information on data processing machines of the 1930’s, see the Early Office Museum website.